Westernaires has coped with countless demands over its 68-year history, and 2017 is proving to be particularly challenging. An outbreak of strangles has hit the Westernaire rental horse string, and now impacts nearly 50 horses and over 20 of the ponies. In an effort to care for the ill horses, and to keep the healthy horses from contracting the bacteria, operations at Westernaires have been modified for the foreseeable future. What is “strangles”? Strangles is a highly contagious equine disease and the most common bacterial infection of horses. Unlike the equine flu, strangles is not airborne, but it can spread quickly through direct contact between horses, or by indirect contact like: tack and equipment, shared drinking water or feed, and by physical contact. One of the biggest challenges with strangles is its long incubation period that requires an isolation period of 4–6 (and sometimes more) weeks. In only very rare circumstances has the bacteria been transmitted to humans or other animal species. Westernaires is employing an effective protocol for treatment that was developed by another large horse organization in the South when their horses went through a similar outbreak. Westernaires is working closely with their trusted veterinary team for booster inoculations and state-of-the-art care. The Westernaire Wrangler teams have been tireless in their round-the-clock care of both the healthy horses and the quarantined ill horses. Erring on the side of caution, Westernaires instituted a voluntary isolation quarantine for all of the rental string horses a few weeks ago. The sick horses are making good progress, but this is a highly contagious disease, and one that can make an impact for many weeks to come. During that time, practices have proceeded on Saturdays using only the healthy rental string horses – no owner horses are permitted to be trailered in and potentially exposed. As you can imagine, this change has required riders and volunteers to be flexible and adaptable. There are ways you can help Westernaires to weather this storm. 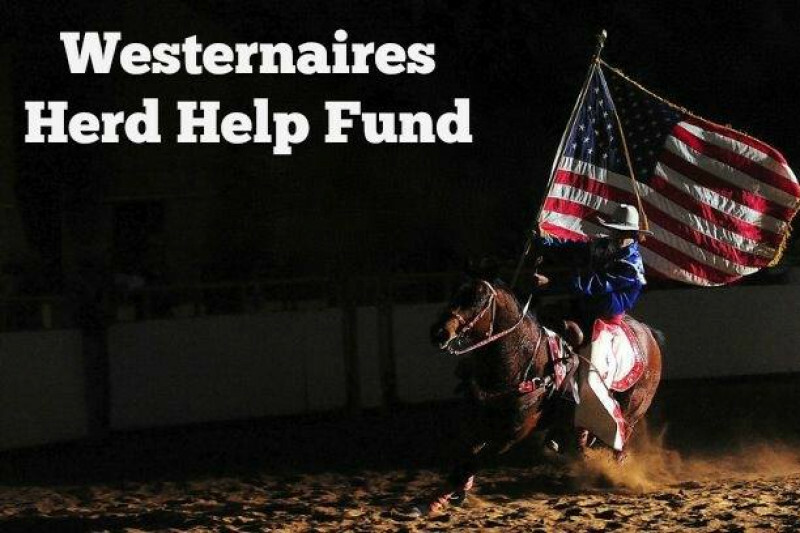 Please consider making a donation to the Westernaires. $15,000 is a conservative estimate of WEEKLY lost revenue that Westernaires is incurring right now. Westernaires are flexible, perseverant, and optimistic -- many riders are even excited to ride horses that they have not ridden before. This is the spirit of Westernaires. Please help us ensure that their mission continues by donating any amount you can afford. An update on the ill Westernaires rental horses: We've gotten word from Westernaires that the horses are recovering nicely. They're being kept comfortable in their quarantined area, and the numbers of infected horses and ponies have plateaued. Those horses who were first recognized as ill will hopefully be cleared in a matter of a few weeks (after final veterinary approval, of course). Thank you to the Westernaire Wranglers who have worked tirelessly to tend to the needs of the horses and ponies. Special thanks to EVERYONE for their generous donations toward this fundraising campaign. Thank you for helping to ensure that Westernaires will be able to ride, practice, and perform this summer! Thank you to all of the generous donors who have helped Westernaires to recoup the cost from last Saturday's cancelled rides! We have only just begun to climb this mountain. Please consider sharing the GoFundMe link with your network...every dollar truly makes a difference. Westernaires is operating on a severely-limited schedule and is being very diligent (some might even say overly-cautious) in its efforts to contain the spread of this disease, which will result in almost an entire summer of limited classes, training, and rental income. Summer is the primary show season for Westernaires, so this is particularly unfortunate and dispiriting for the kids who participate in the organization. We will continue to keep to keep the GoFundMe campaign going with hopes that we can continue to fundraise as much as possible to help with these continued losses. Thank you to everyone who has already contributed to this cause thus far. Every donation (large or small) is helpful and tremendously appreciated! Thank you to everyone who has donated! We'd also like to thank CBS4 for their news story tonight. It is a wonderful thing that you do. I wish it could be more. Just to let you know that the receipt comes up as "Westernaries" instead of Westernaires. Westernaires was my life growing up and I wouldn't change it for the world! It gave me lifelong friendships, brought me closer to my family and gave us stories to tell forever! Westernaires has meant so much to all of us. Let's keep the legacies and legends alive!